When feeling discouraged, take pictures. Most vegetables take 2-3 months to mature. The process can sometimes feel long and unprogressive. 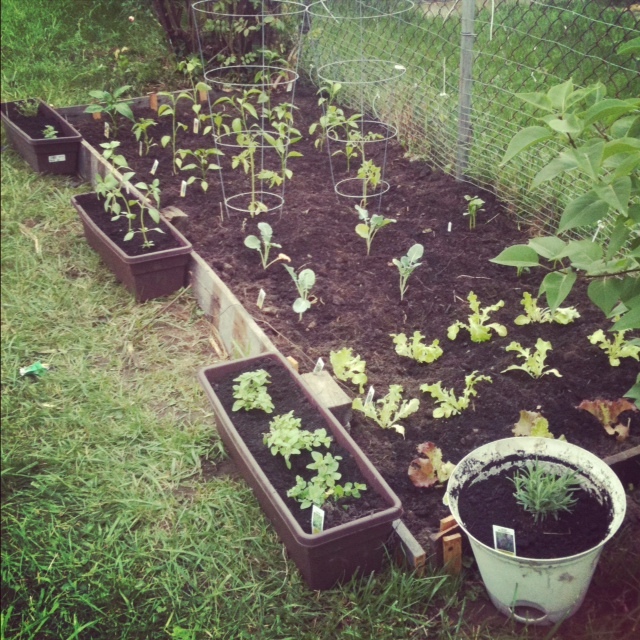 I took a picture the day we planted our gardens. Then I took a picture yesterday. In a mere two weeks, there is noticeable growth. On a day-to-day basis, we don’t tend to see the progress. But comparing the two pictures – I feel a lot better about the plant growth. Going organic isn’t easy. 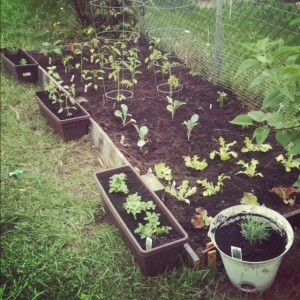 We hoped to grow our vegetables without harsh chemicals. But as new gardeners, we quickly learned that we needed some assistance. My Aster flowers presented some rust disease, which can be treated by plucking each and every rust-ridden leaf or purchasing a spray. Because the disease had already progressed, I was forced to buy a chemical spray. It has yet to fully treat the rust, but appears to be helping. Additionally, the bugs were a real problem for our vegetables. We could have tried a variety of natural sprays; however, we knew the chemicals would do the trick in a much quicker fashion. Check plants at night to find bothersome pests. I’m sure my boyfriend and I look a bit loony with the flashlight, peaking at our veggies in the middle of the night. But the truth is – many harmful pests feed at night. So when you notice small holes in your plants and don’t see anyone nibbling – they are probably eating your plants while you sleep. To effectively eliminate harmful pests, you need to identify which type is eating your plants — that may require some late night plant viewing. Know the good bugs from the bad. This includes the insect larvae. While viewing my butterfly garden, I noticed a spikey creature crawling on the leaves. I wanted to remove it, but decided to do some research first. 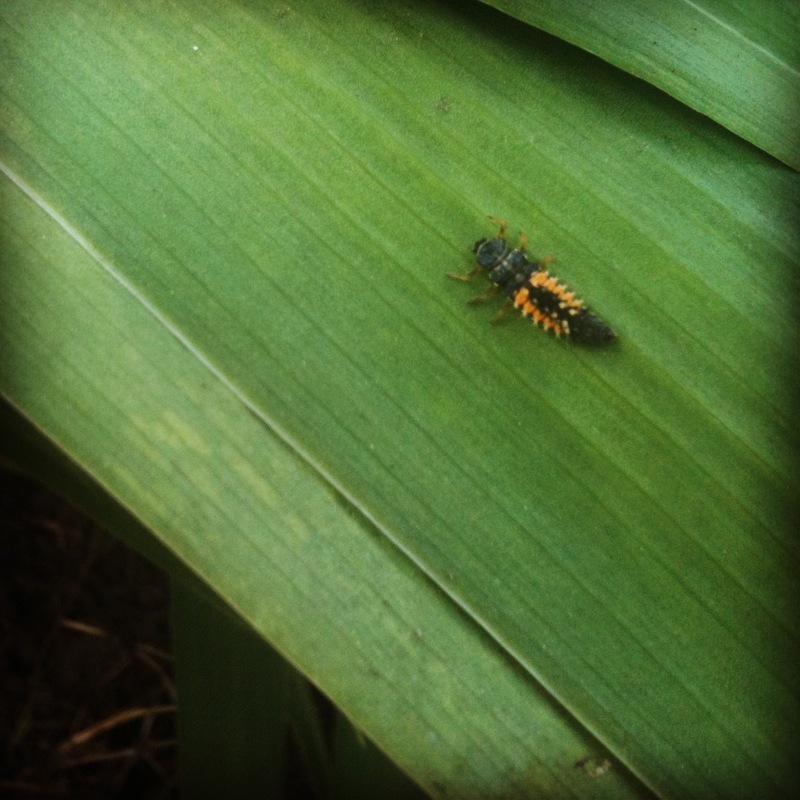 I found out that he was a Japanese ladybug larvae – which are good for my garden. It’s important to clearly identify which bugs will help and which will hinder your plants. I’m really excited about the future of our gardens. We already have two small peppers growing and have seen two butterfly visitors as well as a baby robin. 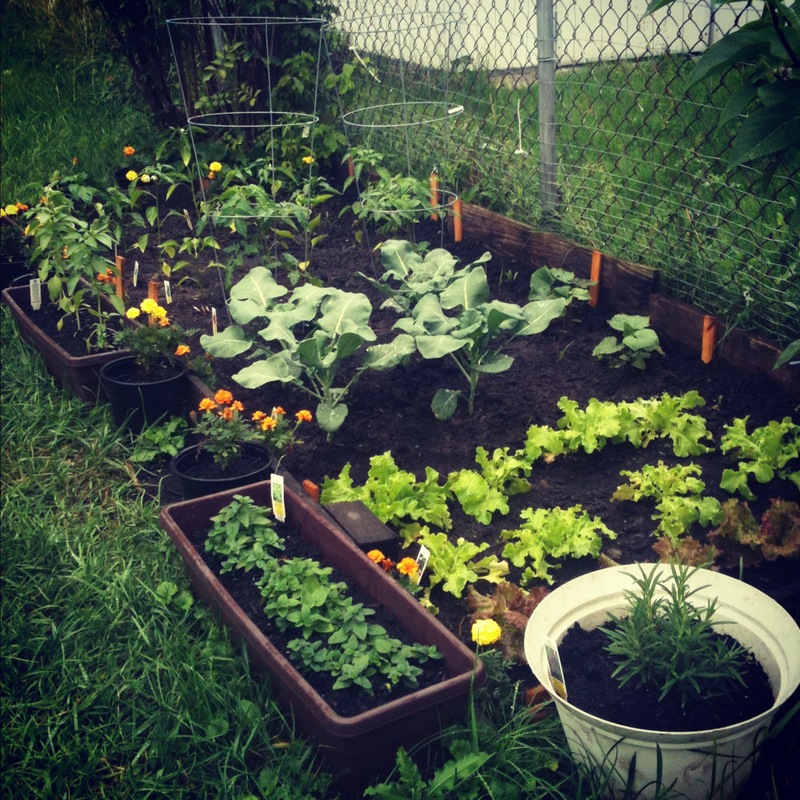 What have you learned while gardening? I’d love to hear your tips! ← Happy Quarter Century Birthday to me!